Lupulin Brewing is excited to announce the release of Gotland Christmas Ale, a holiday collaboration beer brewed with Burgsviks Bryggeri (Gotland, Sweden) as part of the American Chamber of Commerce in Sweden’s exchange program and the American Swedish Institute in Minneapolis. Gotland Christmas Ale is based on a traditional Swedish holiday beer recipe and features lots of orange and spices. It was brewed by Burgsviks Bryggeri owners, Olof & Magnus Eklind, and the Lupulin Brewers in Minnesota on November 8th and will only be available on draft locally. The American Swedish Institute will host the official release on Sunday, December 9th from 3-5 p.m. Come meet the Lupulin brewers, sample some tasty sausage appetizers from FIKA, and be the first to taste this new beer. Additional Nordic-inspired brews from Lupulin’s seasonal line-up will also be available. Co-presented by the American Swedish Institute and the Swedish-American Chamber of Commerce Minnesota . Advance registration is required, see this link to get tickets. https://38380.blackbaudhosting.com/38380/Lupulin-Brewing-Company–Burgsviks-Bryggeri-Collaborative-Beer-Release. 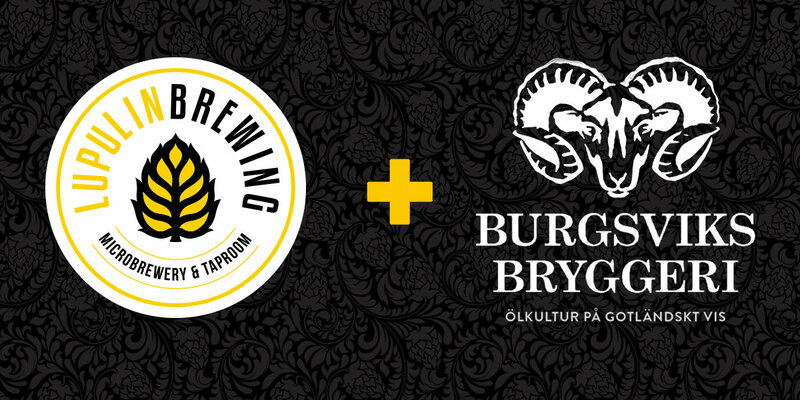 In the spring of 2019, Lupulin Brewing has been invited to Gotland to brew a collaboration beer with Burgsviks Bryggeri that will be released at a Fourth of July celebration at Almedalen, Gotland put on by the American Chamber of Commerce in Sweden. Lupulin Brewing is a brewery and taproom in Big Lake, MN. Lupulin’s brewing philosophy is to create rich, full flavored beers with particular focus on hop forward and Belgian styles. Lupulin Brewing is located on US Highway 10 in downtown Big Lake, MN, and can be found online at www.lupulinbrewing.com, on Twitter (@LupulinBrewing), on Instagram (@Lupulin_Brewing), and Facebook. Burgsviks Bryggeri is a small brewery from Burgsvik in southern Gotland, an island province of Sweden. Our vision is to make high quality beer that is enjoyed by many. Burgsviks Brewery can be found online at http://www.burgsviksbryggeri.se/, on Instagram (@burgsviksbryggeri) and on Facebook.